We recently finished one of my favorite units: pollution and conservation. 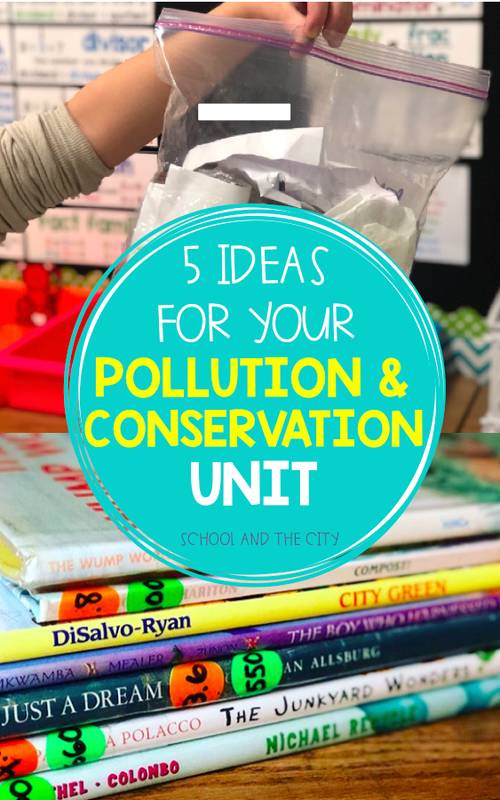 Over the years I've gathered ideas and resources that I thought you may be able to use to freshen up your own science unit! Integrate your new topics into your literacy block. 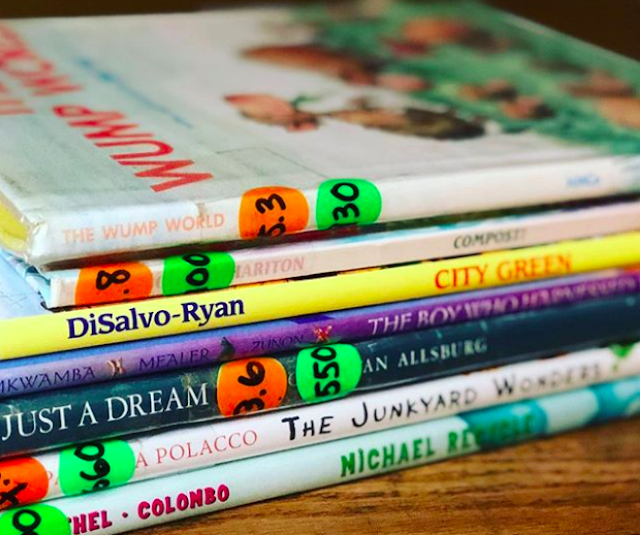 There are SO MANY wonderful options out there - both fiction and nonfiction - that you can use to teach reading skills while also building background knowledge for your students. I used some Scholastic Reading Club points and my public library to stock up on texts related to our unit. You can find all of the above and the rest of my favorites linked on my Amazon list under "Conservation Books." 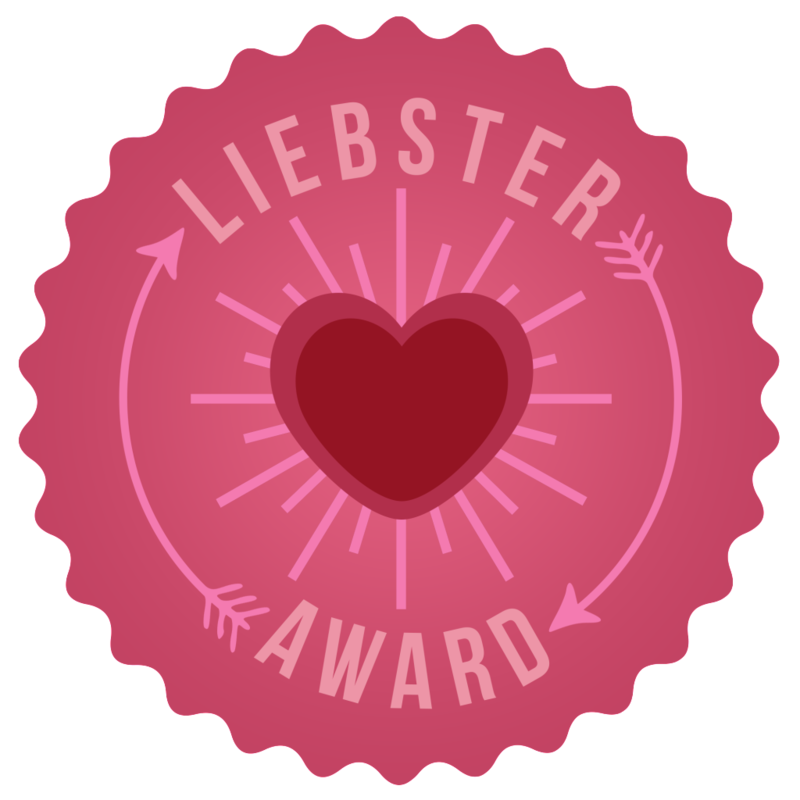 A coworker suggested this idea and I am going to use it EVERY YEAR from now on. For one day only, I hid the trash cans in my room. Each student walked in to find a gallon Ziploc bag on his/her desk in the morning. They were tasked with carrying their waste around with them ALL DAY. 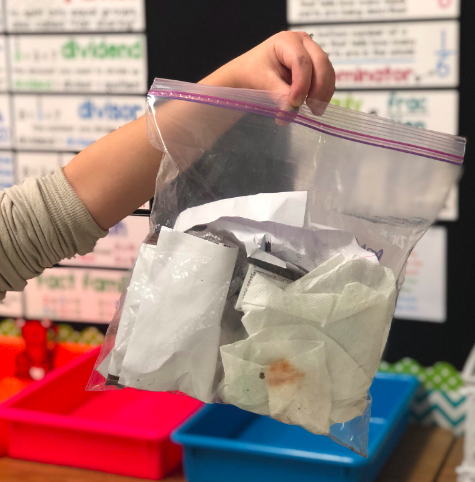 Every piece of waste students made - paper towels, snack, lunch, bandaids, and so on - was placed in the bag and carried with them to PE, recess, and home at the end of the day. We had a great discussion at the end of the day to reflect on what we learned. Were you surprised by how much waste you created in just one day? Think about how much waste we create in a week! A month! A year! What can you do tomorrow to help eliminate waste? What can you work on changing to limit the waste you create? I love choice boards. My students love choice boards. We all love choice boards! I have used them for every science and social studies unit this year. 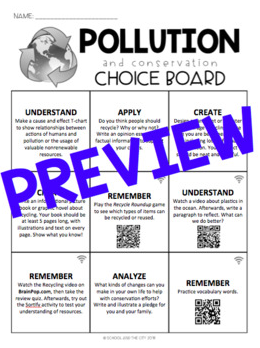 The use of choice boards provides students with opportunities to extend their learning down paths that they find interesting. They can select tasks aligned with their learning preferences and therefore their engagement skyrockets. At the end of the unit, students get to present their products which is great practice for that speaking and listening standard. You can find this particular *completely editable* choice board HERE. 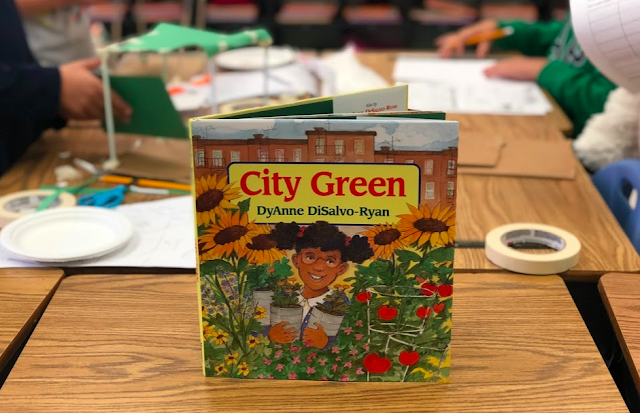 For a culminating project, we read City Green, a story about a girl who cleaned up and repurposed an empty lot in her neighborhood. 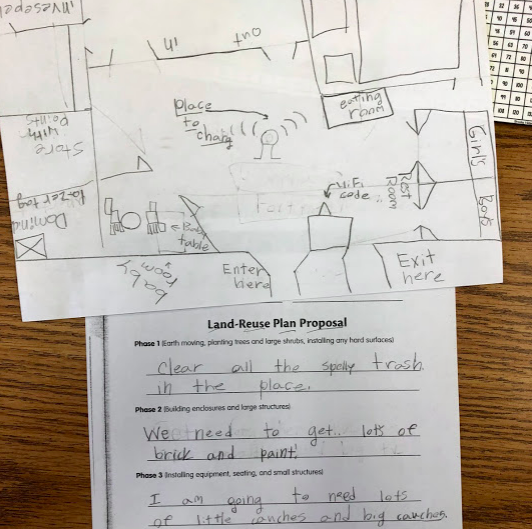 Then students were then tasked with solving a problem of an empty lot in our own town. 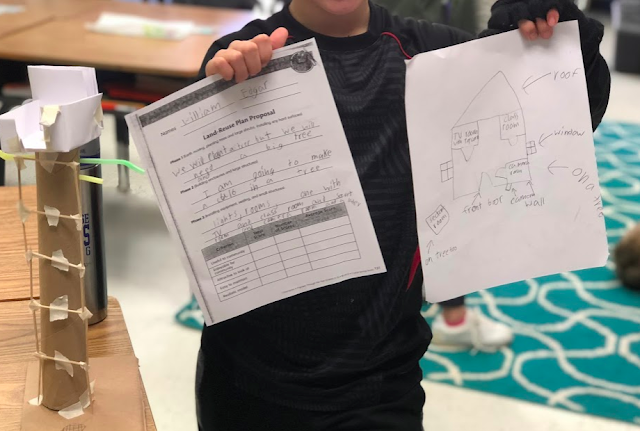 We showed them examples of blueprints and proposals before they made their own. First, their proposal had to be approved by "the city," AKA me. Then, "the city" had to approve of the blueprints before students could create a 3D model. This "Land-Reuse Plan Proposal" page came from a resource my school has called AIMS. 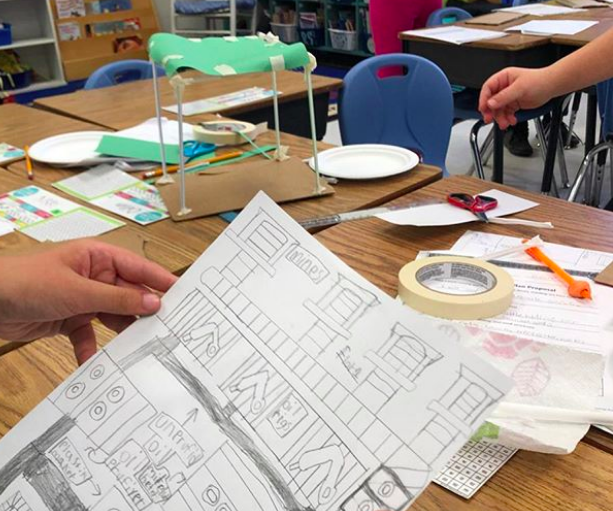 Their ideas were so creative, and of course building 3D models is always fun for all! I'm a big fan of tying science and social studies topics in with writing to make writing more meaningful for students. 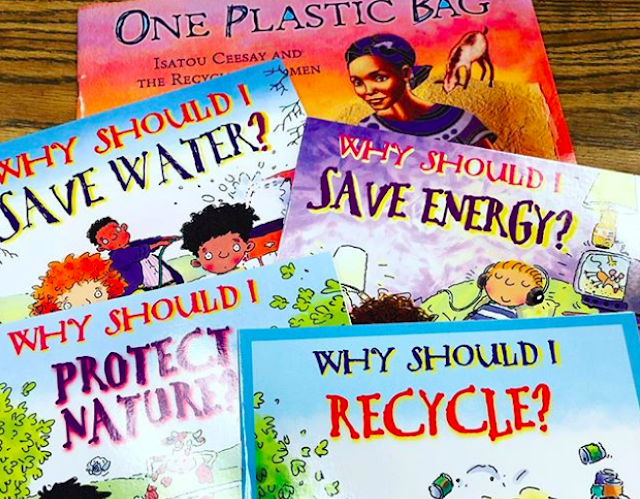 This is the perfect opportunity for a prompt like "Recycling is important because..." or "We can take care of our Earth by..."
If you are teaching opinion writing, that's even better! 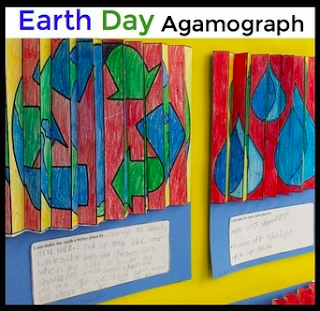 I love pairing this writing activity with Art With Jenny K's Earth Day Agamographs. They make for an amazing hallway display! Have fun teaching one of my all-time favorite topics! Thanks for stopping by! I appreciate your input! Come On In to My 2nd Grade Classroom! © 2017 School and the City. 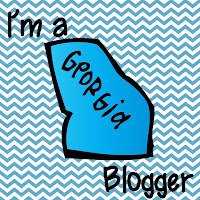 Natasha Template designed by A Bird in Hand Designs. All rights reserved.